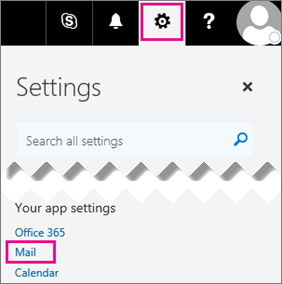 How to forward email from your Office 365 account (Faculty and Staff - see below for Students) to another email account, such as your Gmail account. Sign in to Office 365 at http://outlook.com/owa/email.arizona.edu. Make sure Start Forwarding is selected and your Math email address (username@math.arizona.edu) is typed in the box. 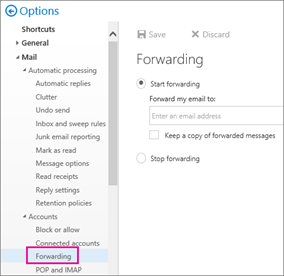 If you would like a copy of the forwarded messages to also remain in this inbox, check the box next to "Keep a copy of forwarded messages." Click on the Save icon at the top. (If you haven't changed anything, you won't be able to click on Save).